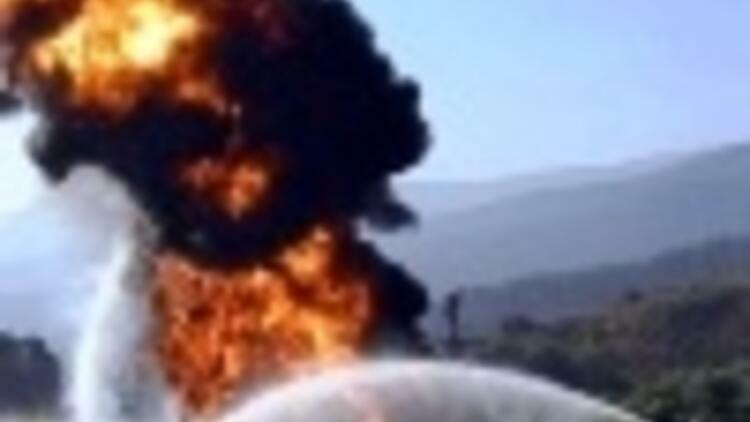 The fire, which broke out after the explosion continues to burn the oil remaining in the pipes, officials said. "Cooling efforts are under way. The fire may continue until the oil inside the pump runs out. However, the region is totally under control." However, the subgovernor of Refahiye town of the eastern province of Erzincan, where the blast occurred, said the blast was caused by a system failure not due to sabotage. The authorities took all the necessary security measures in the region, Anatolian Agency quoted the subgovernor, Mehmet Makas as saying. A British Petroleum, operator of the pipeline together with the local partners, official said the closure of the pipeline has not yet affected BP's exports at the Ceyhan terminal or production in Azerbaijan, Bloomberg reported. "Crude is being stored at the Sangachal terminal near Baku," Tamam Bayatli, a spokeswoman for BP in Baku, was quoted as saying. The flow of natural gas along a nearby pipeline, which had been suspended due to the fire at the crude oil pipeline, has resumed, officials also said. The closed pipeline is expected to reopen in the next week according to Mehmet Akif Sam, spokesman for the Turkey's Energy Ministry. New supply fears in crude markets have emerged after the blast. However the initial reaction was muted as the lingering worries of a weak U.S. economy continued to weigh on demand and prices fell to a three-month low. The capacity of the pipeline, which terminates on the Mediterranean coast of Turkey, was expected to rise to 1.2 million barrels per day in 2008. The BTC pipeline was inaugurated in 2006, carrying oil from the Caspian Sea fields to Turkey’s Mediterranean port of Ceyhan, from where tankers transport the crude to Western markets. 1918 yılında Nobel Fizik Ödülü'nü kazanan kim?